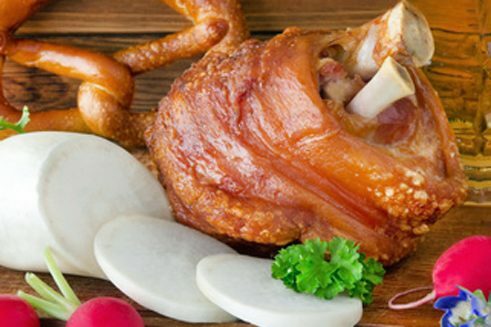 German cuisine can be found on every continent – be it in the form of pork knuckle in South Africa or dumplings in Thailand. Germany’s culinary spectrum is represented by just a handful of specialities, however. Tourists heading out to the night market in Chiang Mai may come across a Thai woman wearing a traditional German dirndl dress and hat. Here, in her country’s provincial capital, she is keen to persuade passers-by to give something a try that is completely untypical of the region: she advertises German cuisine in a restaurant that goes by the name of Hofbräuhaus. On the menu are schnitzel, pork knuckle and roast meat with dumplings. The German spelling of these dishes is somewhat “exotic”, and verdicts as to their preparation and taste vary considerably on online review platforms. Bavarian pork knuckle give an Oktoberfest feel | Photo (detail): © PhotoSG - Fotolia.com The example of the Hofbräuhaus restaurant in Chiang Mai says quite a bit about the way Germany’s culinary range is represented around the world. German restaurants abroad like to focus on characteristics generally associated with the south of Germany, and above all with Bavaria. The diversity of German culinary nuances is obscured by traditional costumes and references to a Munich restaurant of international renown: regional specialities such as Rhineland black pudding cooked in different ways, lobscouse from the North German coast or a Schäufele – pickled pork shoulder – from Baden are rarely to be found on the menus of German-style restaurants on other continents. Leipzig cultural studies expert Maren Möhring has studied how Germany culinary culture has been influenced by the cuisines brought to the country by its “guest workers” and – by way of a cross-check, as it were – has also looked at the situation outside Germany: “German cuisine abroad is to be found almost exclusively in the form of speciality cuisine, where the specialities in question are primarily Bavarian. There are restaurants offering German food all over the world, but the huge majority have an Oktoberfest feel to them”, she noted. 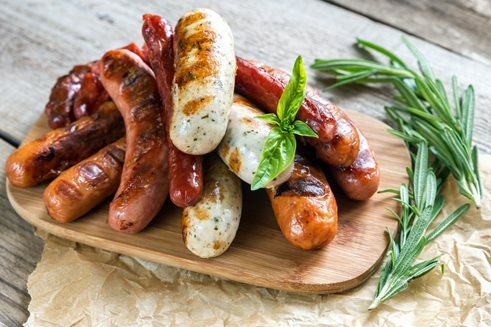 German sausages are popular abroad | Photo (detail: © alex9500 - Fotolia.com Maren Möhring also draws attention to historical events that disrupted the export of German food products. She recalls that German sausage products were once very popular in Great Britain, and that numerous German butchers had set up shop in the United Kingdom. However, this tradition was brought to an end by the world wars and by the social exclusion and internment of Germans as displaced persons. And yet sausages, primarily in the form of bratwurst and currywurst (curried sausage), continue to serve as Germany’s culinary representatives worldwide. One reason for this may be that Germany is viewed abroad as a nation of meat eaters. This appears to be confirmed by the country’s exports: in 2015, meat and meat products accounted for a very sizeable 18.8 percent of total exports. The main consumers were the states of the European Union, while the USA, Russia and China were also big importers. There has been much debate recently about exports of meat, and particularly chicken, to Africa: in Europe – and Germany leads the way in this trend – it is for the most part the “choice” parts of poultry such as the breast and legs that are marketed. The remains are sold off cheaply in Africa, where they have a negative impact on local poultry production. Nonetheless, because Africa was once colonized by Central European countries, there are still plenty of traces of a liking for German foods there. Roulade in the Namibian capital Windhoek or pork knuckle in South Africa’s Karoo desert are by no means unexpected highlights but rather everyday dishes on the menu. They tend to be tastier and better prepared than for example the Bavarian specialities served up to tourists in certain parts of the US southwest. There can be many reasons why people become ambassadors of their own cuisine in another country: a culinary narrow-mindedness, a distrust of foreign tastes and flavours, a longing for the cooking aromas of home or simply business acumen. In those parts of the Canarian and Iberian islands where Germans like to take their holidays, sauerkraut, bratwurst and roast pork have become widespread for reasons which may well cause worldly-wise travellers keen to sample braised insects or barbecued crocodile to turn up their noses. On the other hand, it is thanks to the pioneering spirit of such travellers that crocodile, ostrich and kangaroo can nowadays be found on German menus. Travel broadens one’s horizons on many levels – including one’s tolerance of different tastes. The potato and the migration history of this tuber | Photo (detail): © gitusik - Fotolia.com Someone who is unable to find the same delicious tastes they experienced in other countries once back at home will try to recreate them there. The culinary world is by no means static, and has always been in a state of flux, subject to reciprocal influences. 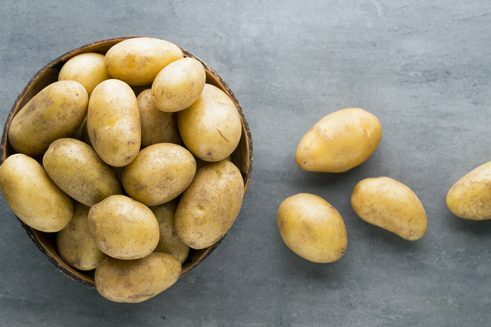 The fact that the humble potato makes up such a relatively high proportion of German exports is but a consequence of the migration history of this tuber, which originated in Peru. The potato dumpling, a (south) German speciality known the world over, would never have been invented if it had not been for this migration. 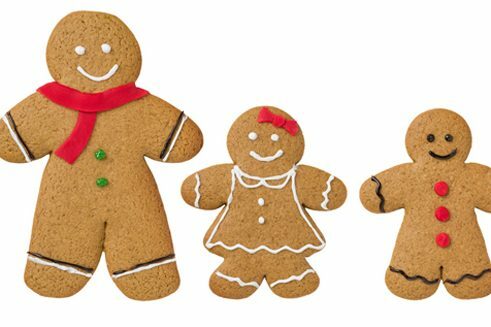 Ginger Bread ist a German delicacy that is popular in English-speaking countries | Phto (detail): © Zerbor - Fotolia.com Apart from meat products, beer and potato-based foods, German confectionery and baked goods account for a considerable 16.7 percent of the country’s overall exports. Wherever there is a German community, there tends also to be a German bakery. Even though many bakery chains have devalued the real craft of bread-making in Germany itself, the texture of dark bread types is nonetheless a speciality that people around the world do not want to have to do without. Another bakery product that is also highly characteristic of Germany is gingerbread – a delicacy that is also well-known and popular in English-speaking countries. Typically associated with winter, the taste of gingerbread serves as a worldwide advertisement for Germany as a country of Christmas and Christmas markets. This may have a somewhat kitschy aftertaste, but as reputations go Germany could certainly do a lot worse. is a journalist and media scholar. His studies of the cultures of the world also entail research into food and drink, an area in which he has gained considerable experience during his numerous travels. Copyright: Text: Goethe-Institut, Herbert Heinzelmann. This work is licensed under a Creative Commons Attribution – Share Alike 3.0 Germany license.